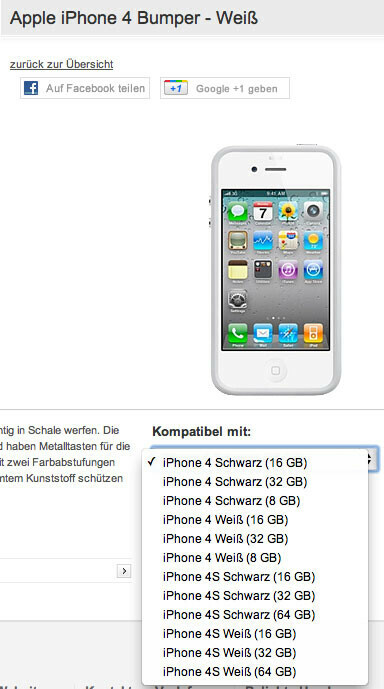 If you aren’t tired of iPhone 4S and iPhone 5 rumors yet then here is another one courtesy of Vodafone Germany that has a listing of the iPhone 4S with capacities up to 64GB under a drop down list of compatible devices when purchasing a bumper case. You may have noticed that there is no iPhone 5 on that list, but that is simply because if it is getting a design change like all of the leaks and rumors have pointed to then the bumper will not fit it anyway. 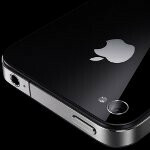 The only other thing that we can pull from the screenshot is that the iPhone 4S will be coming in two colors again, black and white. Hopefully the white one doesn’t take several months to get released again. The iPhone rumor mill is going to keep churning until Apple CEO Tim Cook gives us a reason to end all the speculation at tomorrow’s event in Cupertino. Only one more day of this and all of the questions you may have will hopefully be answered.